Matching reports from the Telegraph and the Guardian brings tidings from Chelsea’s front office, where disappointment from the Blues’ increasingly terrible away performances in 2019, including Sunday’s surreal 6-0 loss, has yet to result in anyone pressing the eject button under Sarri’s feet. And it would appear that the button will not be pressed while Chelsea remain alive in the Europa League and within sight of the top four. The season’s success will reportedly be defined by whether Sarri can meet minimum expectations and qualify for next year’s Champions League. That is priority number one. Sarri thus has two ways to keep his job for next season: finish top four or win the Europa League. The latter might actually be the easiest way to do so — starting with the first leg of the Round of 32 against Malmö FF on Thursday. Chelsea are, at worst, the third best team left in the competition (alongside Arsenal and Sevilla). The same can’t quite be said about the Premier League, where Chelsea have now dropped to sixth place. 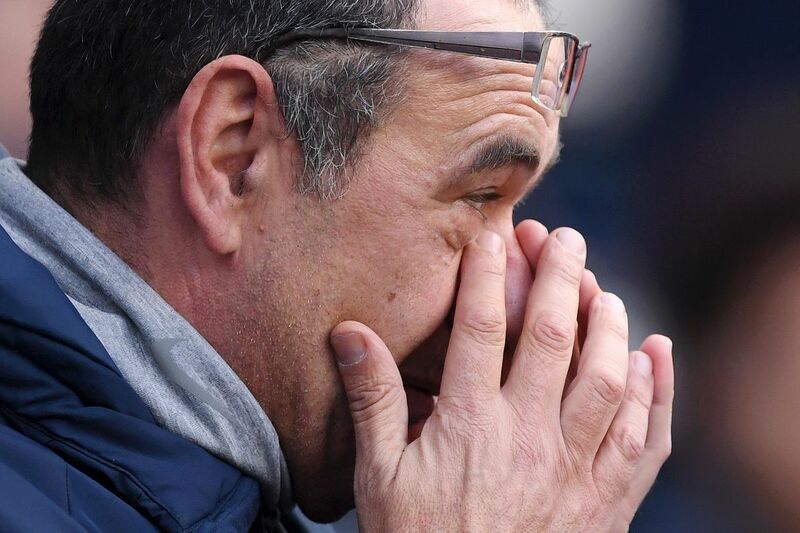 Chelsea are still in both domestic cup competitions as well, and only one win away from winning the League Cup, even, but neither of those trophies would be enough to save Sarri’s hide if he cannot qualify for next season’s Champions League.